I must admit that when I look at an app, I look first at the app icon quality and if there is a cute image on the front, it is hard for me to back away. There is a cute little, one-eyed, purple monster named Moe in the Let's Talk Following Instructions app. 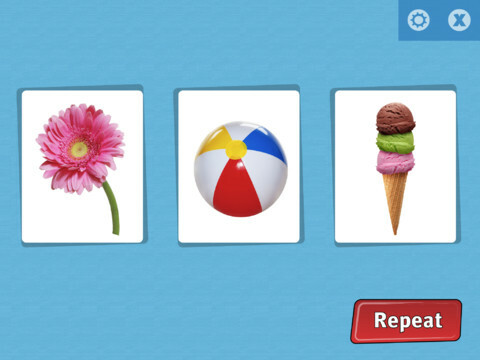 This application focuses on teaching children fifty early developing nouns. For more information about the application and a giveaway, continue reading. The Main Page of the application shows a purple jelly monster named Moe peeking from around a blackboard with the title of the app on it. There are three options - Settings, Play Now, and Results. Pressing the gear button brings you to the "Settings" page where one can tap on a vocabulary card to include or exclude it from application play. There are fifty words on the application. If the card has a white background, it will be used in play. If the background is darkened with an "x", then the card will not be used. Words are shown via text below each card. Press the "i" button to learn how to use this function. Pressing "Play Now" will begin application play. The carrier phrase stated by the narrator of the app will be stated as "show me the..." followed by a noun. There will be three images shown to choose from. If the user guesses correctly, an animation and positive feedback audio will play as well as the correct card being isolated. If the incorrect card is chosen, the direction will be stated again. If the incorrect answer is selected again, the correct answer will flash and the narrator will state directions again up to 2-3 more times. If incorrect on the last time, the narrator will state "here is the [noun]" followed by showing an image of the noun. Then, the application will move on to the following direction. You can have the instructions repeated aloud if needed by pressing the "Repeat" button. Once you have completed application play, press the "x" button for the results to appear. Following application play or from the Main Page, you can access the "Results" page. The "Results" page will appear showing the most recent sessions' responses, number of correct responses, number of incorrect responses (on the first try), and percentage correct. There are fifty nouns with images, text, and audio associated with them. 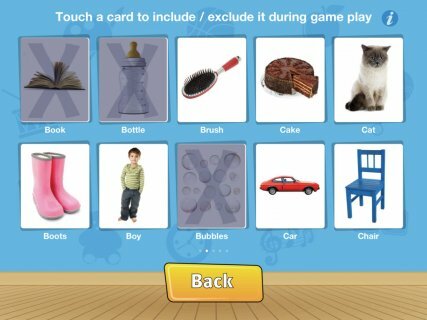 The application is consistent in its directions and the number of cards shown each time which is good for children who need routine. 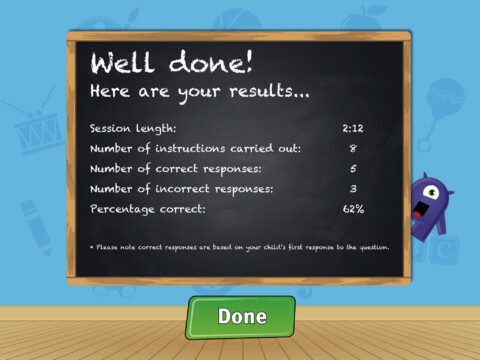 Results follow application play so that you can record the correct number of correct answers. The application title is a bit misleading as it does not technically focus on following directions. It moreso a naming/flashcard/vocabulary learning application. The one direction that it does give is to "show me the ___" which is a 1-step direction, but the direction does not change, add additional steps, add complexity, add additional concepts (time, spatial, etc.). It would be great if some of those elements would be added in a future update so that the name was better fitting. It would be great if there could be multiple user profiles saved on the application to save results to. In addition, if additional directions were added, one could choose the level of difficulty to use with a student. Another thing that would be great to see in future updates would be settings for sound, text, and more. 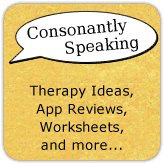 Auditory Processing - The child using the application must select the word stated aloud by the application. 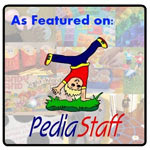 Receptive Language - The child must choose the appropriate image associated with the noun narrated aloud out of three. There are fifty nouns in which a child can learn from this application, define, describe, compare/contrast, and more. Expressive Language - Have children create sentences using all three cards or the stated noun. Have children write a story using all three cards. 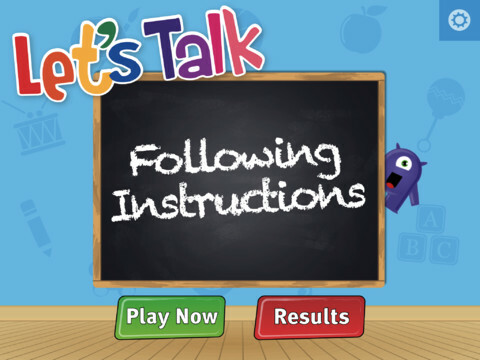 Let's Talk Following Instructions is available for the iPod Touch, iPhone, and iPad for $1.99. 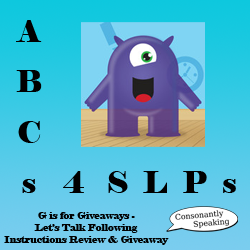 Consonantly Speaking was given a copy of Let's Talk Following Instructions to give away with this review. No other form of compensation was given. Come back soon for a giveaway of this application!